Screen shot from an ISIS video showing a militant giving a toddler a gun. Moments later in the video, the child shoots an 'apostate' to death. KABUL -- Nearly half of the estimated 300 children abducted by the "Islamic State of Iraq and Syria" (ISIS) last November in Afghanistan have completed their training to carry out acts of terror, according to local officials. "Some 140 of these children, who are under the age of 14, are now trained and ready to carry out terrorist acts and suicide bombings," Darzab District Police Chief Capt. Esmail told Salaam Times. 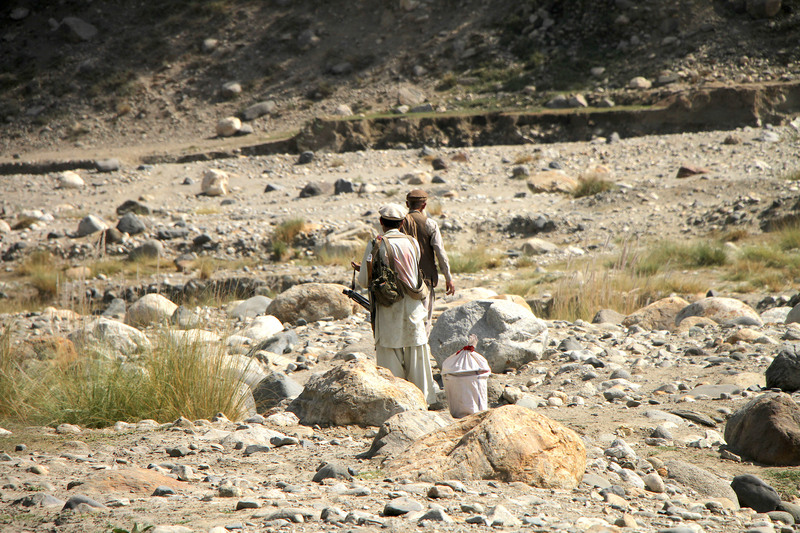 "ISIS's excessive oppression and pressure on the residents of Darzab have resulted in a number of families being forced to hand over their children to the [the terrorist group]," said Malik Sabrullah, a prominent tribal figure in Afghan province of Jawzjan. "The drafting of children by ISIS in Darzab and Qush Tepa districts has become the gravest source of concern for the residents of these districts," he told Salaam Times. "Expansion of [ISIS's] activities, recruitment of children and their training for explosive and suicide attacks have threatened Jawzjan's security more than any time in the past." "On November 7, ISIS members forcibly took 30 children from Darzab to their headquarters in Sardara village, in order to train them for suicide bombings," Karimullah, the uncle of a 14-year-old boy abducted by ISIS militants, told Salaam Times in December. The boy's fate since his kidnapping is unknown. The other estimated 270 children were abducted from various parts of the province the same month. ISIS is targeting religious leaders as well, confirmed Mohammad Reza Ghafoori, a spokesman for the Jawzjan governor. "[In December] ISIS members beheaded a religious scholar and two residents of Darzab" whom they falsely accused of being government collaborators, he told Salaam Times. ISIS kidnapped 12 prayer leaders in Darzab District December 27, he said. "In all probability, they kidnapped these prayer leaders so they could force them ... to promote the group's extremist regulations among the public," said Ghafoori. 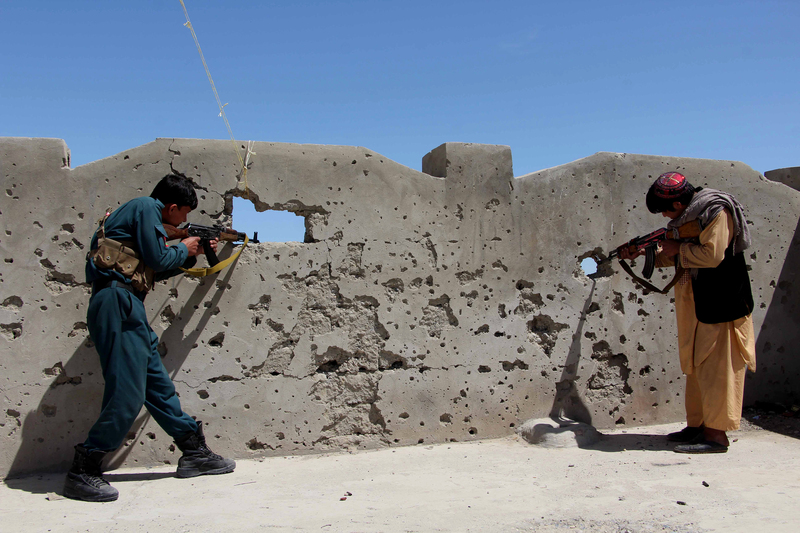 Afghan and coalition efforts against ISIS terrorists are already under way. "The plan to crack down on ISIS was prepared a while ago," Ghafoori said. "Upon hearing the news of an operation against them, however, the group moved from one village to another." "Nevertheless, the operation to clear ISIS from Darzab and Qush Tepa was launched on January 1," he said. "In their first air strike, international coalition forces targeted an ISIS headquarters in Darzab District, killing 26 key ISIS members, including three French and four Uzbekistani [nationals], while injuring more than 20 others," he said.